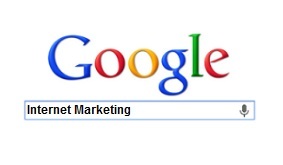 Pay Per Click Advertising gets your business found immediately by people searching online. Your ad is displayed on search engines when it matters most, when people are searching for the products or services that you sell. 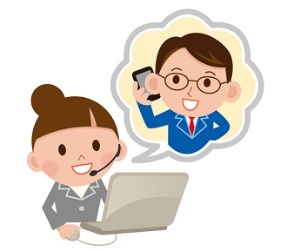 Customers search for products or services that they are looking to purchase. Ads are displayed nationally, internationally, or just at a local targeted are (Raleigh, North Carolina) in this case. Ads are only displayed in the target area. 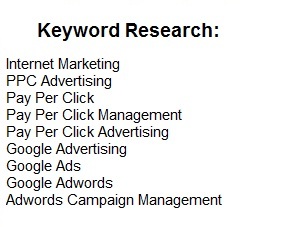 Expert keyword research is done. A Pay Per Click advertising campaign is configured and optimized. Look familiar? This is what a paid advertisement looks like. Correctly configured these offer a great return on investment for most industries. 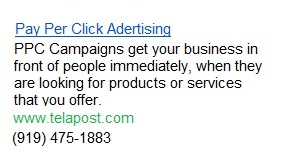 People click on your advertisement and make contact. Traffic and call metrics can be tracked for reporting so you know exactly how good your campaign is running. We’ve managed small campaigns which start at around $150/mo and handled budgets exceeding $60,000/yr that cover bing, Adwords, Facebook and more. Are you ready to take on more business?